Tradition and innovation come together in the perfect combination of old and new, for a modern take on classic liquor. The result is masterfully crafted spirits at the forefront of Vancouver’s distilling industry. However, Tailored Spirits is more than just handcrafted liquor, it is years of hard work in bringing a dream to life. Everything has been crafted piece-by-piece, from custom stills, to a distinctive distilling process, to the unique blend of botanicals that comprise the quality products Tailored Spirits is proud to offer. Artfully blended herbs and botanicals combine to create a gin unlike any other. Italian Juniper offers a classic gin base, augmented by Ceylon, orris, and other fine herbs, while fragrant citrus and sweet botanicals soften the bite leaving a smooth, dry gin, unparalleled in flavour. 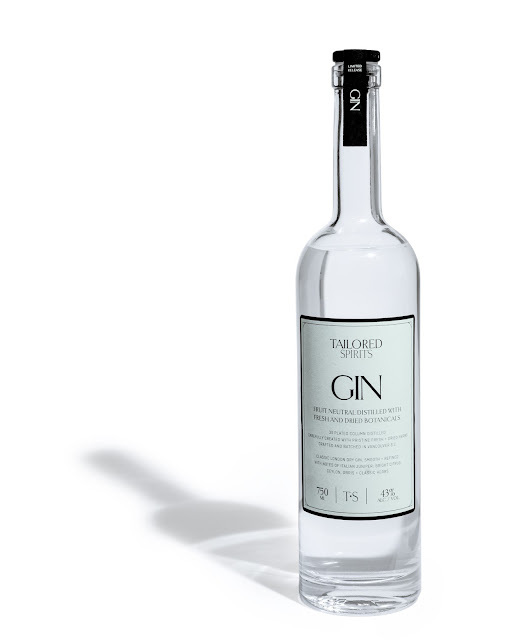 Tailored Spirits Gin uses only the finest quality ingredients, sourced both locally and globally. Starting with the highest-grade cider apples, sourced BC’s beautiful Interior, it is fermented vigorously with champagne yeast. It is then twice-distilled through a column and quadruple-filtered through high-grade activated carbon, sourced from coconut husks. Finally, the gin is flavoured with a specially-tailored blend of top-quality herbs and botanicals. What remains? Only the best. Remarkably smooth with a clean, sophisticated taste. A naturally sweet apple base augments rather than masks the true vodka flavour. Each element complements the other, resulting in a light, distinctive vodka for the distinguished palette. Tailored Spirits Vodka uses only the finest quality ingredients, sourced both locally and globally. Starting with the highest-grade cider apples from BC’s beautiful Interior, it is fermented vigorously with champagne yeast. It is then twice-distilled through a column and quadruple-filtered through high-grade activated carbon sourced from coconut husks. What remains? Only the best.